Professor Hans-Joachim Hof ist einer der Organisatoren des ACM Chapters Computer Science in Cars Symposium (CSCS 2017) am 06.07.2016 in München. Innovation in cars is increasingly “driven” by new technology from computer science. Examples are abundant: Autonomous driving, assistance system, in-vehicle entertainment, and many others. Cars equipped with such technology are likely to become the next big thing which will result in changes in the society as well as in the manner how cars are produced and used. This disruption in automotive industry creates many opportunities but also challenges. They can best be addressed by bringing together key people who jointly discuss novel ideas from research in the practical context of industrial applications. We are pleased to announce the rst German Computer Science and Cars Symposium (CSCS). 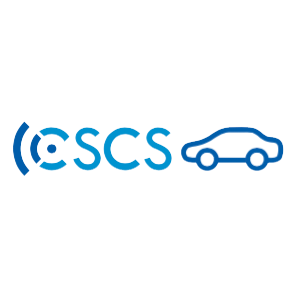 CSCS aims to create bridges between academic research on the one hand and practitioners from the automotive industry on the other. The focus of this rst CSCS event is set on autonomous driving and deep learning. The one day event combines key-note, invited and short presentations, poster sessions and ample opportunities for dis- cussions and networking. An open call for position papers will present the latest ideas, results, and challenges from academia and industry in poster sessions. Distinguished experts from the eld give keynotes and invited presentations on topics which are of para- mount importance for providing successful solutions in the applications areas addressed by CSCS. We invite PhD and master students to submit position papers that will be compiled into proceedings of the event that will be available online on the Web pages. Each accepted position paper will be presented as a poster or might be selected for a short oral presentation. We plan also to invite the top ranked position papers and invited speakers to submit long papers for publication in a special issue of an international journal. We invite companies and research labs to contribute to the summit also by presenting their latest results as demos with a small booth. The booth is free for academic research groups. A booth is also included for spon- sors of the event. The event is planned to take place in the area of Munich. Detailed information on the venue will be provided on the event’s Web pages as soon as they are available.